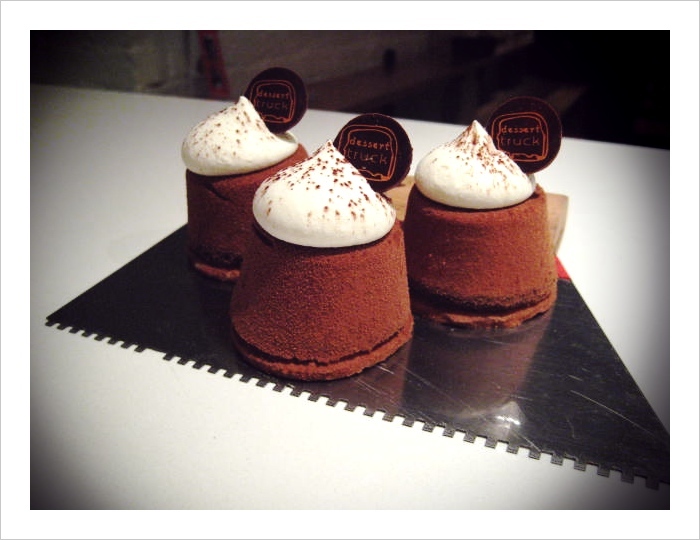 Photo of the Day: Tiramisu Mousse! Inspired by the flavors of tiramisu, we dropped these desserts off at a private party along with some mini-chocolate bread puddings and an assortment of French macaroons. These consist of a biscotti crust, espresso mousse, mascarpone and some coffee & amaretto-soaked bisquit cuillere in the middle.